Soft Machine lasted a long time. 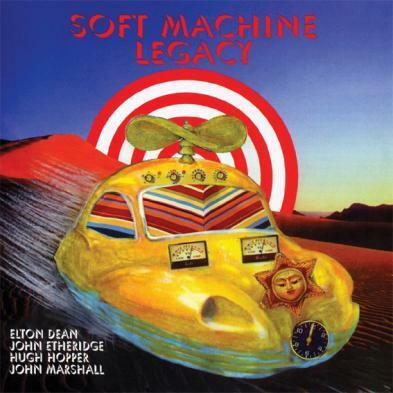 Well, they are not dead actually but they are not called Soft Machine Legacy. Although, they did not perform all the time since their inception in 1966, they did produce a lot of music and this is the very last record with Elton Dean, lead sax player, who sadly passed away in February this year. But this is the real deal with Hugh Hopper on Bass, John Marshall on drums, Elton Dean on saxes and John Etheridge on guitars. This is jazzy instrumental rock music with a lot of flavour and space for all the members to show their chops and drive the songs in new directions. Ratlift is a very cool long track that demonstrates this well. Great guitar! 12/12 starts quite slow and spacey before building up, first with a long solo by Elton, followed by John Etheridge. New Day is like old school piano jazz but then it gets a bit more wild. Short song. I really liked Grape Hound a lot. The cool guitar sound and slightly funky bass line. Overall, if you like instrumental jazz, then you can't go wrong and this is the last you will hear of Elton Dean, so savor it. He was an amazing player and he is now replaced by the great Theo Travis. For more information you can visit the Moon June Records web site at: http://www.moonjune.com.